I used to never go for protein bars/meal replacement bars. My reasons? 2: So calorie dense- eat one of those and you don't get to eat again for like 2 or 3 hours! 3: I thought they wouldn't fill me up. My, how things have changed. Now that I'm on the go most afternoons either at work or running errands, you'll never catch me without a protein bar in my bag. Tons of them are packed with way too much sugar; however, 15g of protein is a lot! And it really does tie me over to the next meal. But I DO have some requirements when I pick them out. - I try to shoot for about 200 calories. It's enough to keep me satisfied, but not so much that it's just extra calories. - Read the label. If it has 12+ grams of protein, for me, it's usually a go. This is why I prefer protein bars to regular granola bars- the protein! - Keep the sugar in check. Some of those things are LOADED to the max, and they don't need to be. Check for the term "low glycemic index" on the box, which will make sure you keep your blood sugar from spiking too high! - Watch for sales. Stores often put nutrition bars on their circulars, or have their own off brands (which I've found can be pretty good!). Don't pay an arm and a leg, but if you're going to buy something to eat on the go, it's better than crackers that will give you a carb headache and never fill you up. Balance Caramel Nut Blast - I actually really like all the Balance bars, even though the packaging looks like they are made for grandmas. They are about 200-210 calories each and perfect for fueling a long afternoon, especially after a long run. 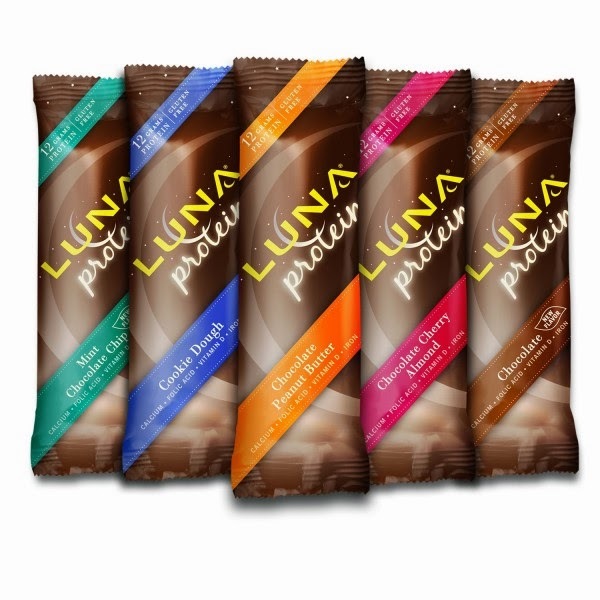 Luna Protein Bars - These are a bit lower in calories (170-180) and there are tons of flavors. They are specially designed for women, which I think mostly just means they have pretty wrappers, but hey! It worked on me. Pure Protein Bars - About 200 calories each, and so good! 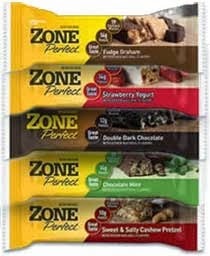 If you like less chewy bars, Zone Perfect Bars are pretty good. Not my favorite, but I've only tried the fudge graham, and I tend to prefer chewy bars. They are about 2-00-210 calories as well. What's your favorite way to fuel on the go? I'm always looking for suggestions!